Our professional staff has experience working with individuals, businesses, trusts and non-profits. Whether you have a large business and a very complicated tax return or a very simple individual tax return, we are able to tailor our services to meet your needs. 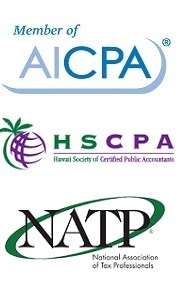 New clients are frequently surprised that a CPA firm can provide these services with fees typically less than the national franchise tax preparation firms and other CPAs. Tax Associates provides free electronic filing for all individual income tax returns whenever possible. Electronic filing significantly decreases the amount of time for tax refunds to be processed and dramatically reduces filing errors. We also provide alternative refund solutions provided through Refund Advantage, where our fees can be deducted from your refund and your net proceeds are either paid to you by check or debit card. Tax planning is a very important component of our practice. Proper planning can help to minimize your tax liabilities. Tax laws are constantly changing and a plan put in place in the past may not be effective today. Tax Associates also works with Quickbooks and Sage accounting software. If you also work with one of these accounting solutions, we can assist you. If you are considering an accounting software solution, we are available to assist you with implementation.